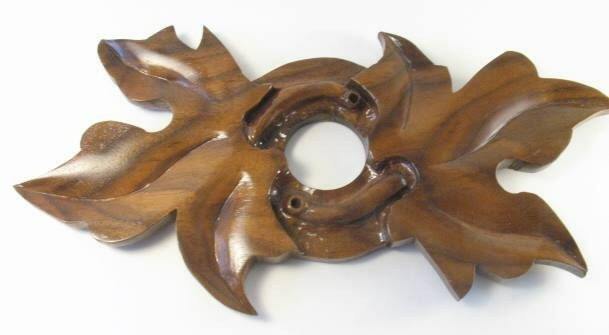 This Grape Leaf Wine Caddy has been hand carved out of Black Walnut in the Black Forest style and is highly detailed. 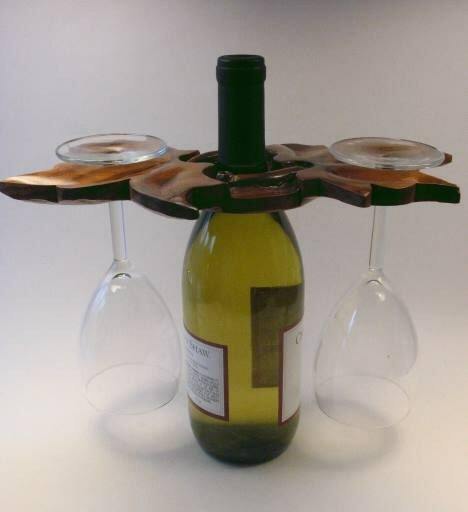 It features a two grape leaves design that allows you to attractively display two wine glasses with your favorite bottle of wine. 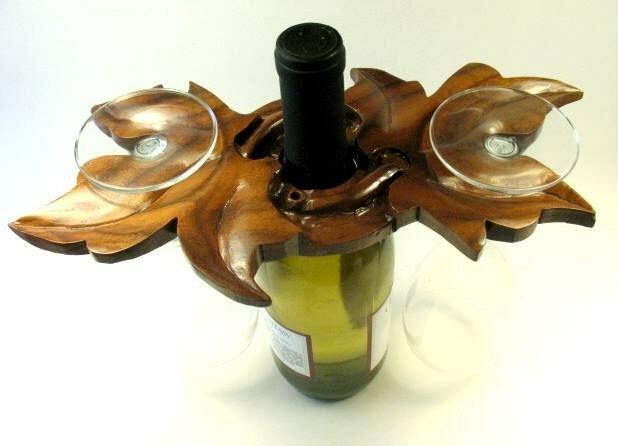 This makes a great housewarming gift, a thoughtful and unique host/hostess gift or is a great way to show off that special wine from your collection. These measure 11.5" long by 6" wide. Wine bottle and glasses are not included. Designed to be used for static display only, not designed for actively carrying or transporting wine and glasses. Policies Payment We accept Paypal, Visa, Master Card, Discover, American Express and Etsy Gift Cards. If payment is made via Paypal e-check item will not ship until payment clears. Policies Shipping Ready Made Items will be shipped within two business days of payment. Estimates will be givien on Custom Orders. We ship our items USPS or UPS. Due to the size of some of our items sometimes UPS is a better value for shipping. I ship to the address on the Etsy site ... please make sure this address is correct If the item is to be shipped to an alternate address please email us directly with the desired mailing address. Insurance and Tracking are included in our shipping fee. We charge actual shipping and handling fees, overages will be refunded. Tracking information will be e-mailed to the buyer. All items are packaged with great care to ensure you receive your items in perfect condition. If any damage should occur, please contact me and we will work to rectify the problem. Policies Refunds Items are sold As Is. Please view all photos of the item before purchasing. 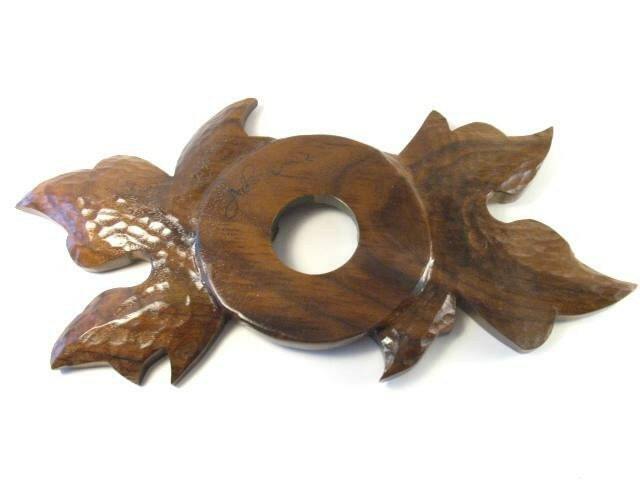 We strive to represent our pieces accurately and if you have any questions about the item please ask prior to buying. There are no refunds or exchanges for buyer's remorse. A purchase is a binding contract, so please shop carefully and responsibly. We want you to be 100% satisfied with your purchases. We put much care and time into creating our art and making your buying experience a positive one. However if you do experience a problem, contact us immediately and we will make it right. We do not offer refunds or exchanges, unless there is a significant "defect" issue with your product. Items lost in shipping will have to be resolved through the shipping insurance. Damage that occurs during shipping will have to be handled through the shipping insurance and/or we work to make sure that it is right. Additional Info If your purchase is a gift let us know and we can add a special note and gift wrap it and add some special touches. If you are interested in having custom work done for you please convo us and we will be happy to discuss the details. Thanks For Stopping By and Come Back Soon!! !